I started working at Dunamis Therapy & Fitness in July 2015. 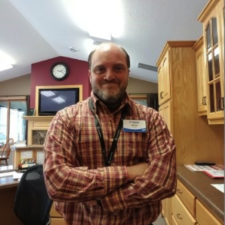 I serve as the office manager at the Chetek location. I do a little of everything, from helping members, working on pools, fixing computers, running radio programs on Tuesday mornings, and volunteering at the High school / Community Center. Being a resident of the quaint city of Chetek a allows me to really get to know our wonderful residents. Our office is located only a quarter mile from my house so it’s nice and close. One of the rewarding parts of working at Dunamis Therapy & Fitness is the community involvement and interaction with the patients/fitness members.